We have the perfect wedding package for hire that won’t break the bank! 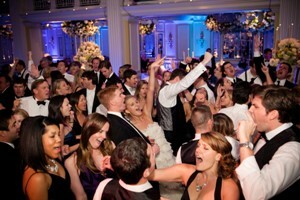 If you don’t want to spend a fortune on a DJ or live band, then let us be your ‘iPod DJ’! Simply plug in your iPod/iPhone & listen to the music you want, in the order you want. This wedding package comes with commercial-grade speakers that pump out crystal clear sound at high volumes for hours, so you can rest assured you can keep partying on into the wee hours! With a sub-woofer and a wireless microphone, this package has all the equipment to make sure your wedding music and speeches can be heard by all your friends and family. Even better, we don’t think it’s fair to charge more for a wedding…so we don’t charge you more! This package costs no more than if it were a normal party, in fact we have discounted it! We offer a delivery/pick up service as well as set up and operating services if required, so you can make sure you spend time enjoying your wedding knowing that everything is set up and ready for you. Ultimate Package – if you want something truly spectacular, please contact us so we can custom create a package for your special day. 1 x 2800 watt iPod package – 2 x powered 15″ speakers, 2 x speaker stand, 1 x mixer & leads. This is suitable for 200-400 pax.